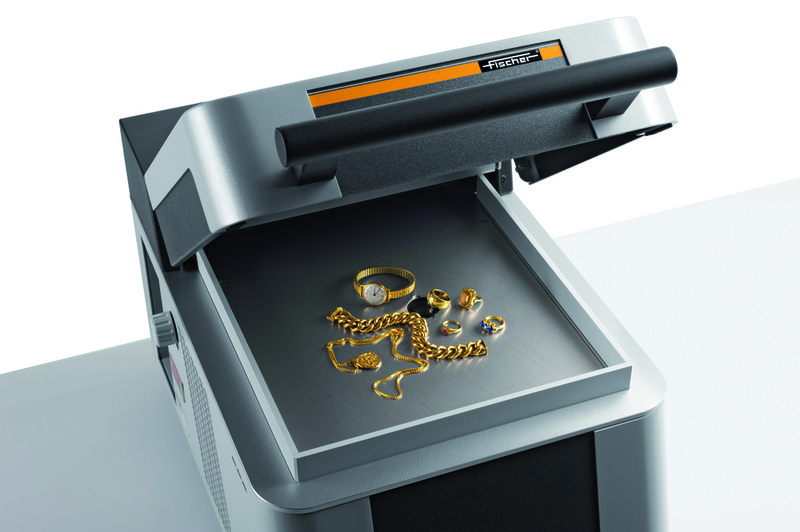 XAN 500 is a high performance machine which is specially developed to meet various analysis requirements of metal assaying organizations, hallmarking companies and Gold Mining Industries for assessing properties of valuable metals like silver, gold and other metals. The FISCHERSCOPEÂ® X-RAY XANÂ® 500 with X ray florescence based mechanism is a wonderful option to suit the metal analysis needs. The advanced design of FISCHERSCOPEÂ® has been developed by keeping coating level thickness measurement requirements in mind. Developed by professionals with years of domain knowledge, the mechanism of this machine is in sync with the quality checking and controlling standards followed nowadays. It acts as a reliable measurement machine for heavy duty component as well as small accessory located inside desktop. The special design of the enclosure of this table top machine has made it convenient for its operator to carry it easily. The advanced design of the desktop has made it possible for its operator to position and measure small components without any difficulty. Moreover, the examined part can be safeguarded from the damaging effects of radiation during testing function. The movable handset part of this machine can be easily detached from the machine while measuring comparatively large item or area which is quite difficult to access. The three point support geometry of this machine helps in proper positioning of the specimen for error free repeatability function. Easy to transport, the FISCHERSCOPE X-RAY XAN 500 machine has extensive applications around the world for x ray based fluorescent measurement work purpose. Its energy dispersive analytical technique has made it suitable for property analysis of materials like metals and for determining thickness of coating in a non destructive manner. This machine is used as an essential part of quality checking of produced items, for examination of received items and for effective management of workflow. The portable FISCHERSCOPE X-RAY XAN 500 is specially designed to meet alloy analysis and coating thickness measurement requirements. Its tilted protective guard can be handled by its operator while taking measurement. This machine consists of measurement box and the tablet of this machine is equipped with WinFTM software. This machine is useful for determining exact layer thickness of metals like zinc, gold, ZnNi and silver. This device has application areas like inline, stationary and mobile. This system is capable of measuring heavy duty machine parts accurately with its repeatable functions. When installed in the measuring box, this machine serves the purpose of a complete table top device. Known for its compatibility with controlling system used in production unit, this machine serves the purpose of a reliable monitoring system.